Personal Loan is an unsecured loan product of banks and NBFCs that can be applied for Marriage, Education, Holiday, Home Renovation etc. its basically called any purpose loan. Do you need some emergency cash for medical treatment, house renovation, wedding, higher education, vacation or for any other reason or plan? A personal loan can only get you rid of your sudden financial crisis. Normally You do not need to clarify the purpose or use of the loan amount to the bank you are applying the loan and you do not need a guarantor or security to obtain a personal loan. Your monthly income is very much enough to get you a personal loan with the best repayment option and lowest interest rate. Unsecured personal loans are offered by lending institutions such as banks and non banking finance companies like ICICI, AXIS,HDFC , STANDARD CHARTERED,ING VYSYA,FULLERTON INDIA,HDB FINANCIAL SERVICES and are so called because the lender requires no security for the debt. They are not available for speculative purposes or business purposes. Depending on the individual lender some other purposes may also be excluded, for example the purchase of timeshare property. For best personal loan offers in Delhi/NCR,Gurgaon,Faridabad,Noida,Greater Noida just make a call to us and our team will be eagear to serve you. 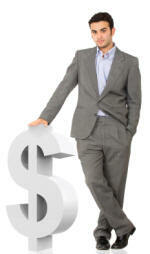 Personal loans are available for different amounts and different repayment terms. Depending on the amount and purpose of the loan, you will also be able to choose from a range of repayment periods from One year to Five years. The minimum loan amount is typically 50 Thousand although some lenders do offer 100 k and upwards. The maximum amount you can borrow is 30 lacs although this will vary between lenders and products.